Caves come in all shapes and sizes. Some are mere vertical shafts that go straight down from the surface. Others have long, horizontal tunnels and large chambers. Especially the larger caves have combinations of these and are highly diverse. Besides the large caves, there are numerous small holes and channels, which are inaccessible to man. There are so many caves in Slovenia, that by no means all have been explored. Here, in the middle of Europe, there is still a terra incognita, a place where wonders are waiting to be discovered. The entrance of the Weavers’ cave in Slovenia. Click to enlarge. In some parts of caves, you can walk easily over near level ground. Then, a few steps further, there may be a steep drop of tens of meters. Streams flow through some caves. these are not quiet, but rush like mountain torrents. When it rains above ground, the underground streams rise and in some places fill entire caves with turbulent water. When the water level drops, it leaves a slippery layer of mud. Caves can be very dangerous places indeed. Because of this, you need a special cave-licence to enter most caves. Also, cave-explorers are expected to follow a set of rules, for their own safety. In each part of the Slovenian karst region, there is a number of caves open for visitors. these are calles “show-caves”. However, access isn’t free here: you have to go on a guided tour with a licensed cave-guide. How this is arranged, differs from cave to cave. The largest and best known caves, like the Postojna cave – Postojnska jama and the Skočjan cave -Skočjanske jame – organise so many guided tours that, in summer, you can simply wait near the entrance for the next tour. For smaller caves, like the Cross cave – Križna jama, it makes sense to check their schedule before going. For some other caves, it is necessary that you make an appointment before you go. In several caves, it is possible to go on specially arranged, much longer tours. Both Križna jama and the Planina cave – Planinska jama offer tours which take well over half a day. On these tours, you follow underground rivers over a distance of several kilometres. Only few people can participate in such a tour at any one time. Also, the total number of people which can go in a year is limited, to protect the cave-environment. Sometimes, such tours are cancelled last-minute because of extremely high or low water levels in the cave. If you plan to go on such a tour, it is wise to book well in advance. 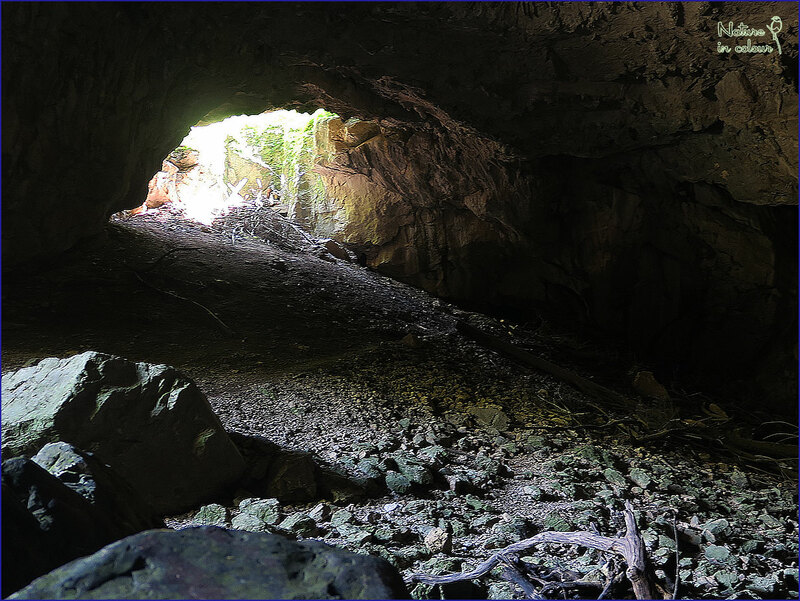 Caves are an alien environment for us humans and we need to bring torches or other lights to orientate in the darkness. At first, the caves seem lifeless areas, because there are no plants. Anything “edible” has to come from outside, either with the water of underground streams or it is brought by animals which go outside the caves to forage. In the end, what gets into caves are mainly small particles in the water and bat-droppings. This means that there is very little to eat in a cave. As a consequence, the density of cave-animals is very low. Most cave-animals are tiny invertebrates who save energy by moving slowly and growing very slowly. At the same time, they have long life expectancies. Most cave-animals are adapted to life in total darkness. They do not have eyes, which would be useless underground. They also have no pigment, because they do not need to protect themselves from sunlight and ad nobody can see them underground anyway. Most cave-animals are therefore white, but cave-beetles are amber-brownish. This is because the natural colour of chitin is brown, not white. Cave-animals orientate themselves by smell and often also have super-senses for air-movements and heat. If you just hold your hand too close to them, they may run away because they notice your body heat! Slovenian caves have an extraordinary rich fauna, but on a guided tour, you are lucky when you see a handful animals! Also, don’t expect many species, the richest caves are home to maybe 20-40 species. Of these, you may see two or three. For the rest, you need to use specialist search techniques which cave-researchers use. And for this, you need a license because all cave-animals are legally protected in Slovenia. The easiest to see are usually cave-millipedes, cave-woodlice and cave-beetles. In the water, you may see cave-shrimp or a specialised aquatic cave-earthworm. Vertebrates regularly enter caves as well. Shrews are not uncommon, and Martens can go quite deep underground. In some places, Badgers use natural underground holes as part of their sets and Dormice may hibernate deep underground. Of course, Slovenian caves are also important hibernation-sites for bats. If you want to photograph a hibernating bat: do it quickly. Otherwise, your noise and heath may wake it up, and if this happens several times in a winter, it may kill the bat. Waking up costs a lot of energy for a hibernating bat and in winter he cannot replenish his reserves by hunting for insects. What looks like a misspelt chapter title, is actually correct. But maybe I should first tell that an Olm is a kind of cave-salamander. Olms are very elongated and they have very short limbs. They are true cave-animals which have almost no pigment, so they appear white or pale yellowish. Their eyes are tiny and lie under their skin, but they can still see the difference between day and night. Olms also notice torch-light, which scares them. They live in underground streams and lakes, and retain their larval gills throughout their lives. They are the biggest creatures that live all their lives underground and grow up to 35 cm. And, they live in Slovenian caves. Genetic research shows that there are several species of Olms, each living in a different cave-system. Olms are best known from the Postojna cave. Here, a few are kept in a large aquarium so that visitors can see them. This is the easiest way to see them. Most other places where they live, are inaccessible for casual visitors. The second best place to see them is the Planina-cave, and for the best view you have to book the long tour. Occasionally, Olms come out of caves at a few springs. They do this only after dark, and even then it is highly unsure if you actually see one. Nevertheless, exactly in this way we have managed to see olms during some of our tours! We love to visit at least one cave during most of our tours, however, this depends on the theme of a particular tour. 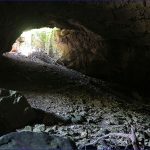 There are no plants in a cave, so we usually do not visit caves on botanical tours. And while there are a few butterflies hibernating in caves, we also don’t go there on butterfly-tours. If you are interested to visit caves with us, the more general Nature-Tours is for you. On our Amphibian and reptile tour, we go in search of Olms in the best cave-locality!